The information below describes how the Credit Union handles credits and debits to your account and the resulting impact on your available balance. The information is a general description of how certain types of transactions are posted. The Credit Union may receive multiple deposit and withdrawal transactions on your account in many different forms throughout each day. This means you may be charged more than one Courtesy Pay fee if we pay multiple transactions when your account is overdrawn. Checks. When you write a check it is processed through the Federal Reserve System. The Credit Union receives data files of cashed checks from the Federal Reserve each day. The checks drawn on your account are compiled from these data files and paid each day. The Credit Union processes the checks paid from low to high check number. ACH Payments. The Credit Union receives data files every day from the Federal Reserve with Automated Clearing House or ACH transactions. These transactions include, for example, automatic bill payments that you have authorized. 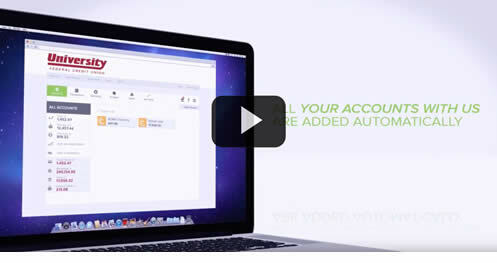 Each day, ACH transactions for your account are grouped together and paid from low to high dollar value. Point of Sale (POS) Debit Card Transactions. A POS transaction is when you use your debit card and enter your PIN at the time of the transactions. A POS transaction is similar to an ATM withdrawal because the money is usually deducted from your account immediately at the time of the transaction. However, depending on the merchant, some POS transactions are not presented for payment immediately. Signature Debit Card Transactions. A Signature transaction is where you make a purchase with your debit card and you do not enter your PIN but you are instead asked to sign for the purchase. Signature transactions also include online transactions and transactions where you select “Credit” rather than “Debit” when using your debit card. For Signature transactions, the merchant may seek prior authorization for the transaction. When this occurs, the Credit Union places a temporary hold against the available funds in your account. This temporary hold is referred to as an authorization hold and the amount of the authorization hold is subtracted from your available balance. Authorizations are deducted from your available balance but not your balance as they are received by the Credit Union throughout each day. Depending on the merchant and the transactions, it could take hours or days for the transaction to be processed and submitted to the Credit Union for payment. These payment requests are received throughout the day and are posted to your account as they are received. The Credit Union cannot control how much a merchant asks us to authorize or when a merchant submits a transaction for payment. The amount of an authorization hold may differ from the actual payment because the final transaction amount may not yet be known to the merchant when the authorization request is submitted. For example, if you use your debit card at a restaurant, a hold will be placed in the amount of the bill presented to you. But, when the transaction is processed and posted to your account it will include any tip that you may have added to the bill. This may also be the case when you swipe your debit card at gas stations, hotels, rental car agencies and other retail establishments.